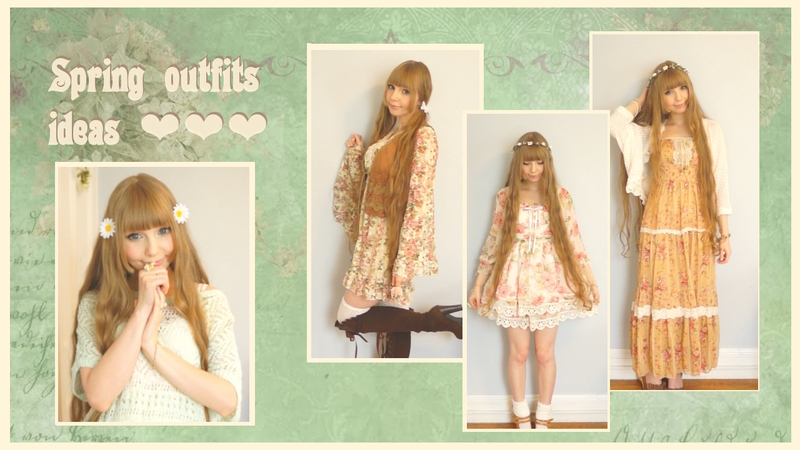 This week, Ive made small outfit video to show you some of my ideas for spring outfits. I still didn't have a chance to wear most of them, because last two weeks were soo cold, 5-7C and cloudy almost everyday. At the moment I feel, all I could wear are just delicate, flower printed dresses hi hi. So captivating and beautiful you are. I enjoyed and approved of all of your outfits. I (as always) approve of your angelic face, smile, and hairstyle. Such magical beauty.